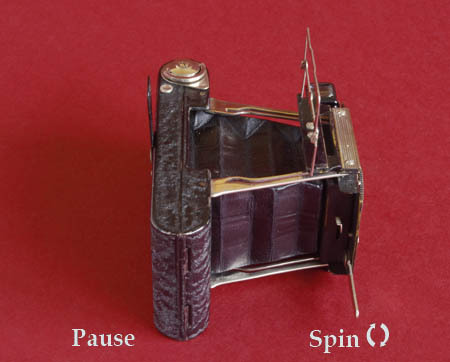 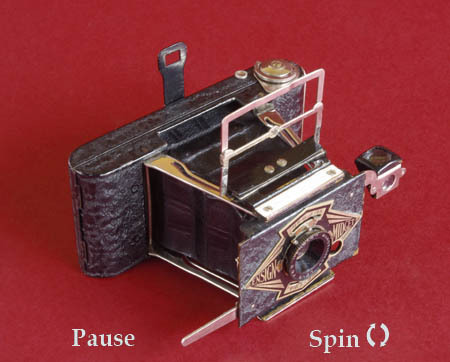 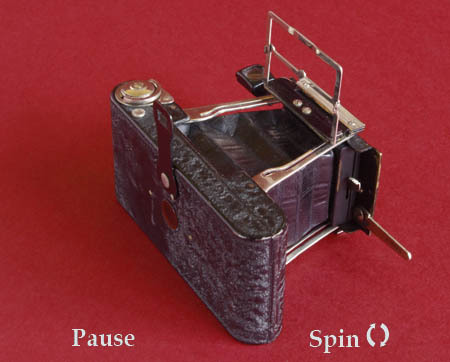 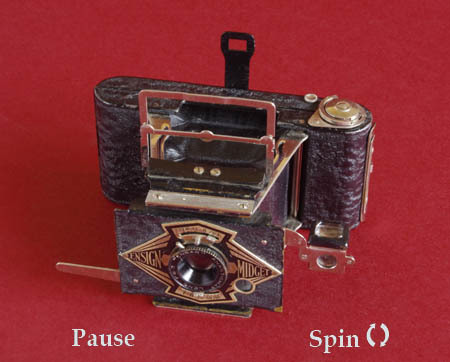 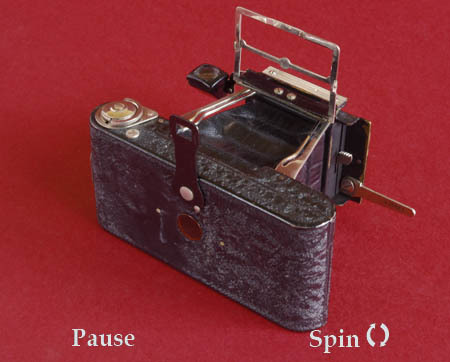 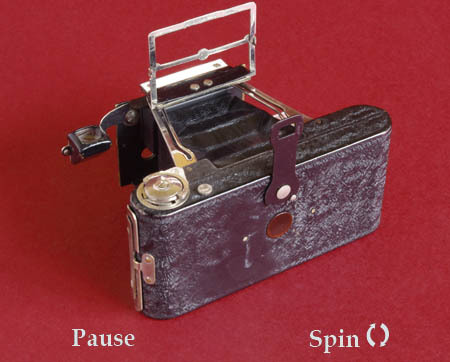 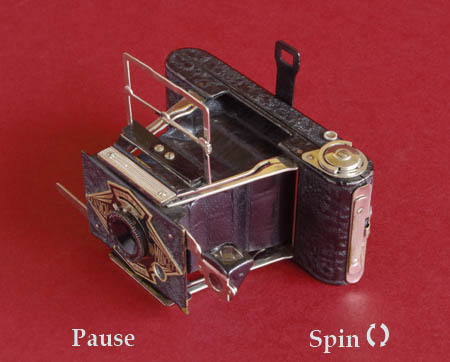 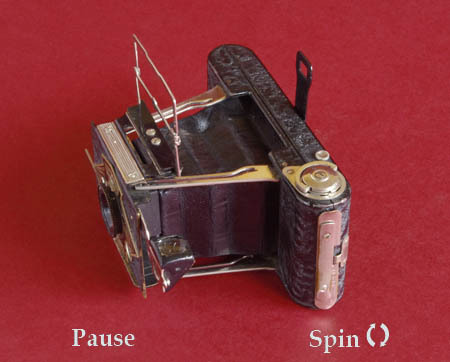 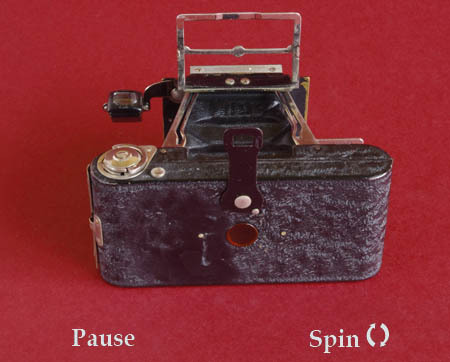 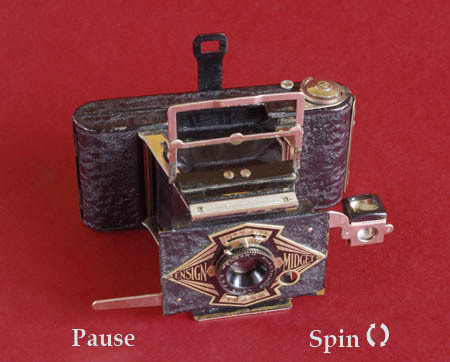 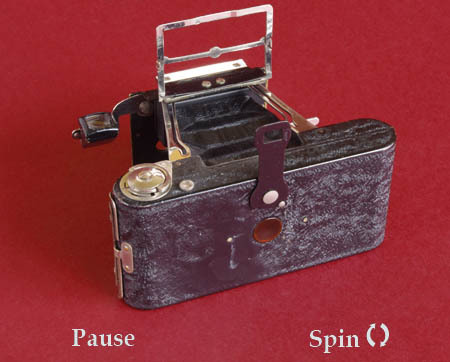 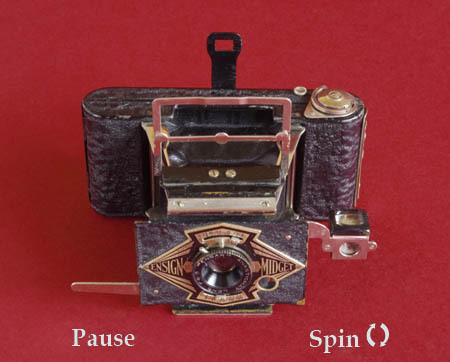 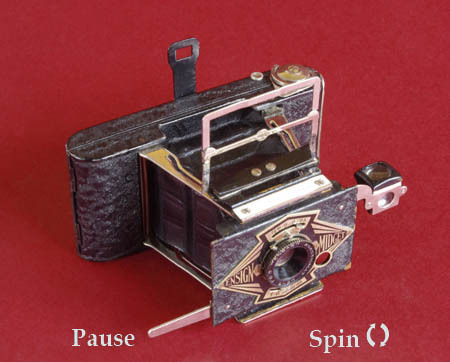 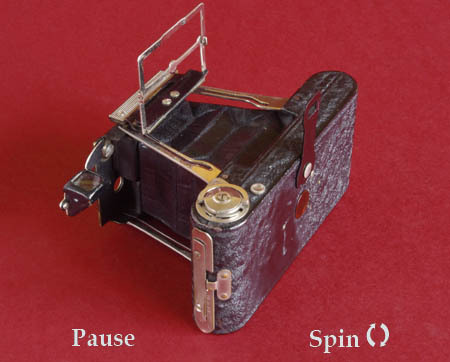 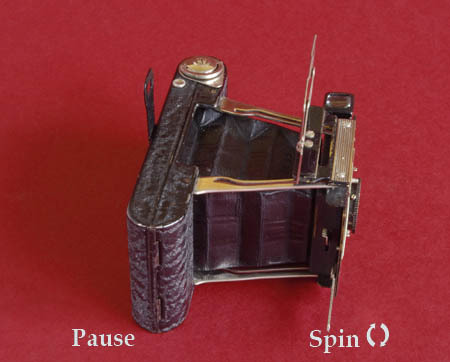 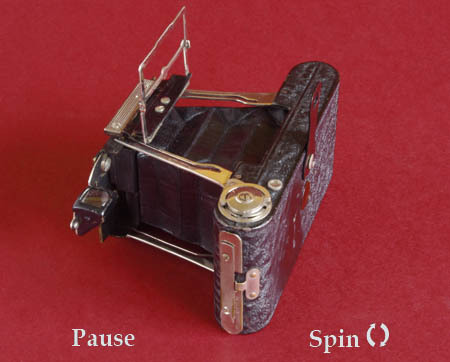 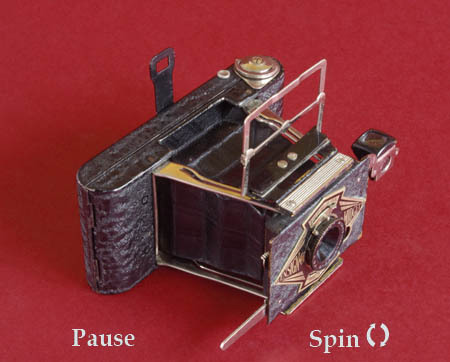 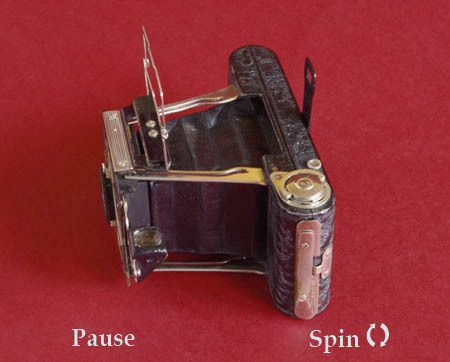 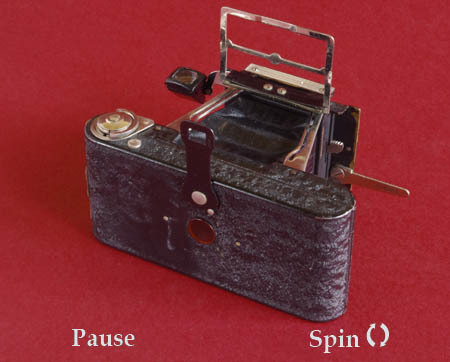 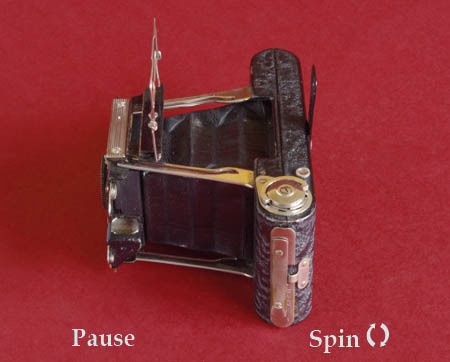 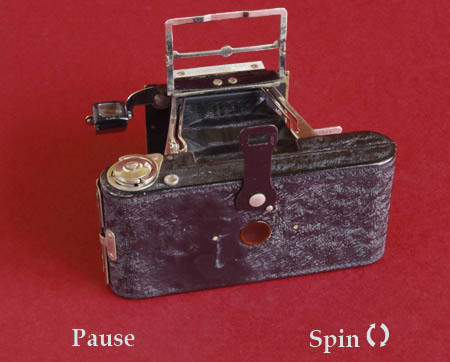 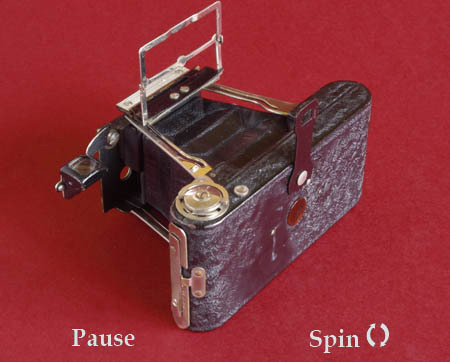 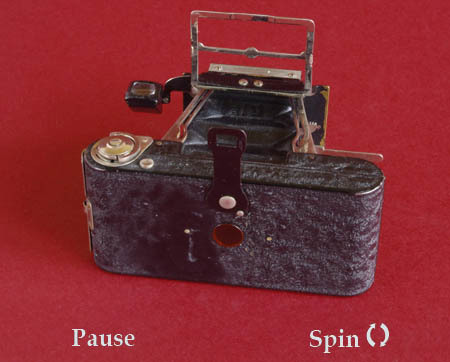 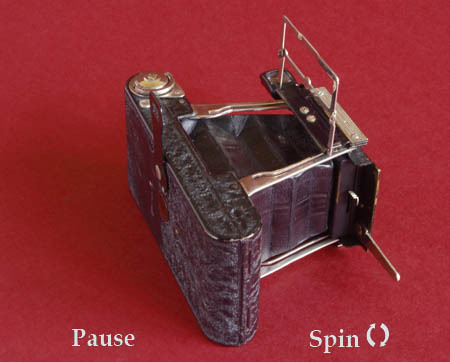 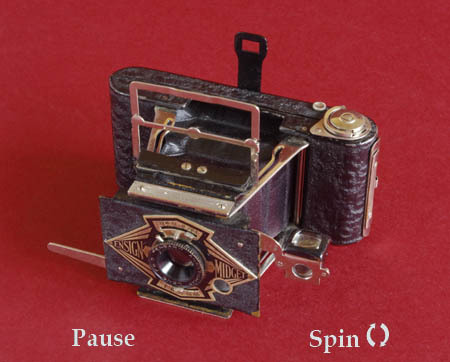 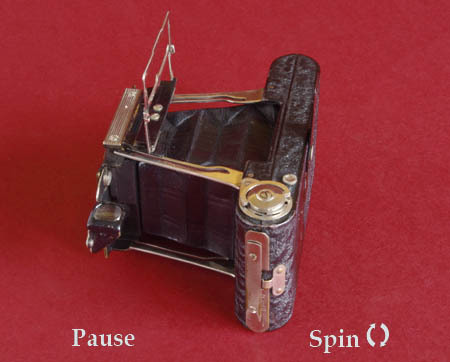 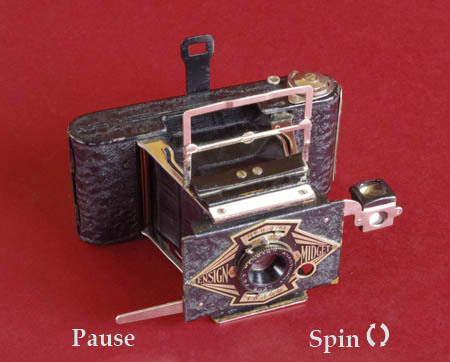 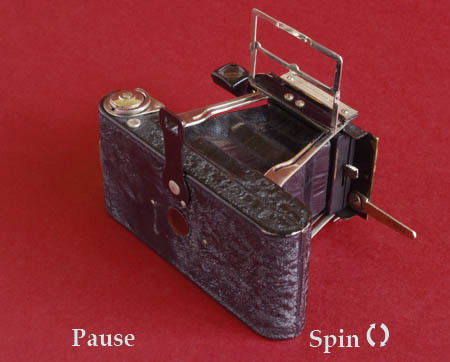 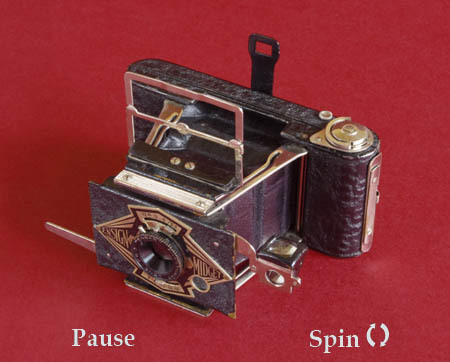 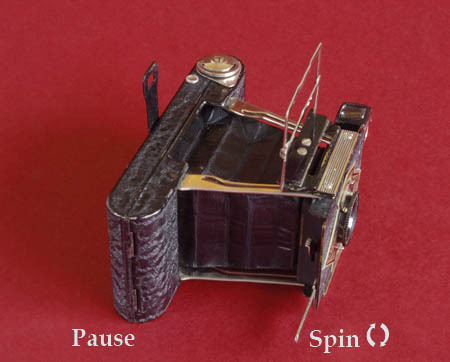 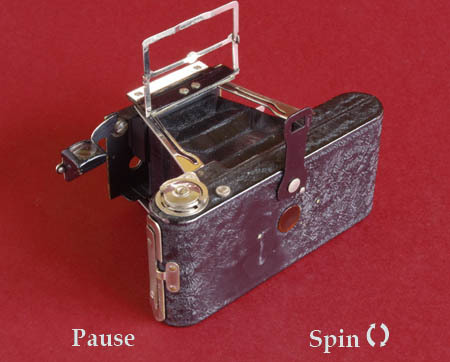 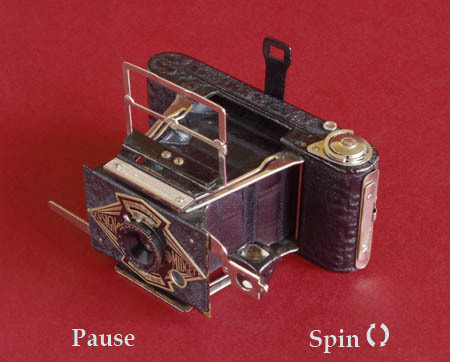 Ensign Midget 55, vintage camera - all round view at 10° intervals. 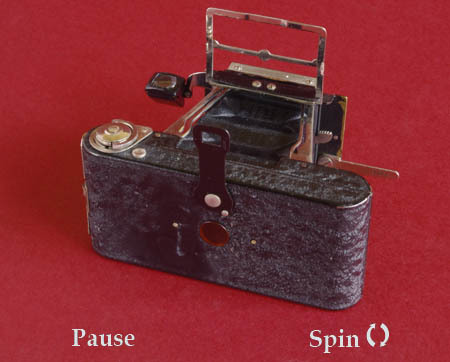 This camera has posed a bit of a problem for the restoration process, so much so that it's been on hold for over 20 years. 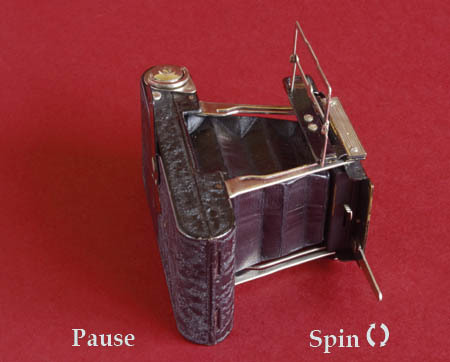 Much of the crackle finish paint has fallen off, and the bellows had a large hole under a sticky patch. 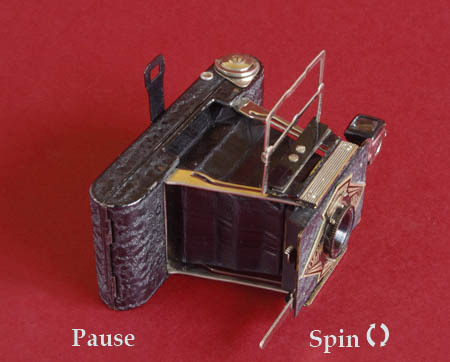 All of this can be seen as the poor old thing rotates. 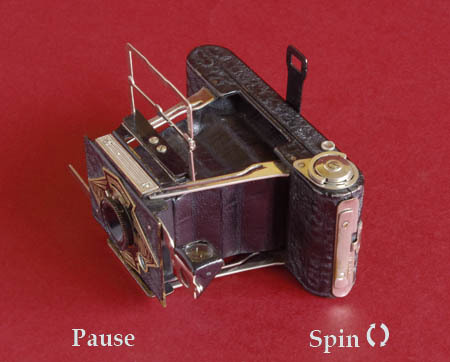 Being of rivetted construction, means that it will have to be drilled and re-rivetted, in order to repaint, so for the time being it remains as found.